Erin Curry, who married a Canadian and settled in Moncton, N.B., considered giving up her U.S. citizenship but decided to hang onto it so she could vote in the American presidential election. “I know who I don’t want to be in office,” says Curry, who still has friends and family living in the United States and was worried that their quality of life would change if Trump got into the White House. The 31-year-old is part of a huge bloc of American expats — an estimated 2.6 million eligible overseas voters, including 660,935 in Canada — that experts and partisan groups believe could sway the outcome of the presidential race on Nov. 8. On that day officials will be tallying up the votes, but the popular vote isn’t what will decide the presidency. That will be up to the electors from the 50 states and Washington, D.C. The winner will need to get to 270 of the 538 electors in the electoral college. It’s winner takes all in each state (except Maine and Nevada), meaning if Trump or Clinton wins the most votes in a state he or she would get all the electoral votes from that state. So in the race to get 270, swing states become crucial. Americans living abroad are eligible to vote in the last state they lived in before leaving the U.S.
Oxford University researcher Patrick Andelic, who co-authored a recent report looking at the role of American expat voters in the 2016 presidential race, says there are a number of races including Ohio, Nevada and North Carolina that have become too close to call and could be decided by expat voters. “So if those voters just went out and got absentee ballots I think they could end up having a big impact on the outcomes of several races,” he says. These expat voters have become a focus for both Democrat and Republican groups as national polls show Clinton with a narrower lead amid renewed interest from the FBI director into her private server emails. Voter turnout among expatriates is traditionally low at 6.8 per cent in 2008 and 4 per cent in the 2012 elections. Democrats Abroad, the overseas arm of the Democratic Party, has been working hard to improve engagement and voter interest by sending email blasts to expat members, reminding them to register with their state of last residency and submit their absentee ballots. 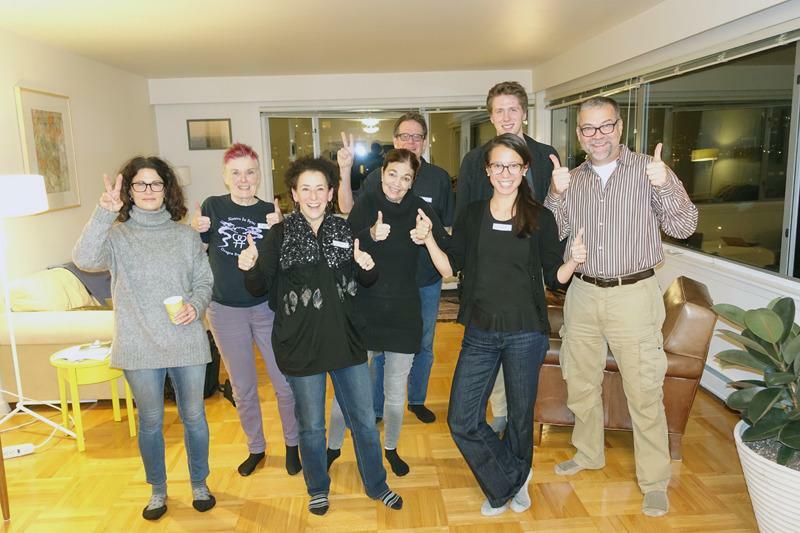 It has held debate watch parties and will host election night parties in 11 Canadian cities, including Montreal, Quebec City, Toronto and Vancouver, which have some of the largest expat communities. Democrats Abroad has also had success with a phone banking campaign to target members, particularly those from swing states like Ohio, Florida and Nevada. The group has phoned more than 100,000 members with a focus on swing state voters and helped over 140,000 overseas voters register for their absentee ballots using its web tool, votefromabroad.org. Gena Brumitt, who heads the London chapter of Democrats Abroad in Canada, says she helped register Ellis-Worthington and others, including a woman in her mid-80s who last voted for Dwight Eisenhower. Republicans Overseas, which has no official affiliation with the Republican Party, appears to be less active in Canada than its Democratic counterpart. It shares a similar goal to get expat members to vote but doesn’t appear to have hosted many public events in this country or have an active Facebook page. Oxford’s Andelic, whose research report also examined the two partisan groups, says Republicans Overseas doesn’t have particularly well-developed local chapters in the way Democrats Abroad does. Republicans Overseas also targets a different segment of the expat population, concentrating its efforts on military voters and in specific countries. 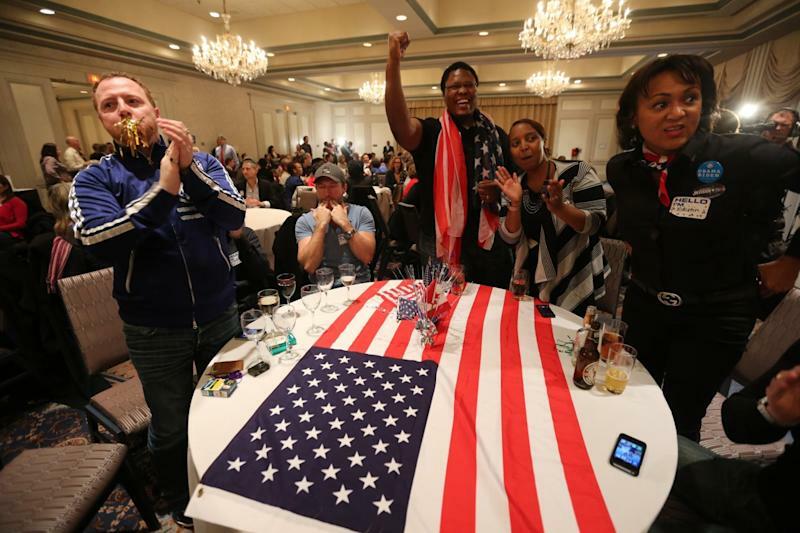 Both sides believe expats can make the difference, as past elections have shown when George W. Bush won Florida with 202 overseas votes from the military in 2000 and Al Franken got into the Senate with 312 votes in 2008. That’s why Mara Hansen-Staples, a volunteer with Democrats Abroad Canada in Vancouver, offered to hold a last-minute calling party at her apartment on Tuesday. “It went great,” says Hansen-Staples, whose group made about 150 calls, electing to call Americans at home rather than abroad. Editor’s note: This post has been corrected to reflect that the 2012 election was not a midterm election.